Etsy Artisans: Best of Handmade | Best Artists and Handmade on Etsy Meet the Artisans of Etsy! Anything you make or assemble with your own two hands, give us a shout ! Today we’ve found this cute little sign by Teak and Topaz, for only $7. The little sign measures 3.5×7″ and is done in an antique stain with black lettering. 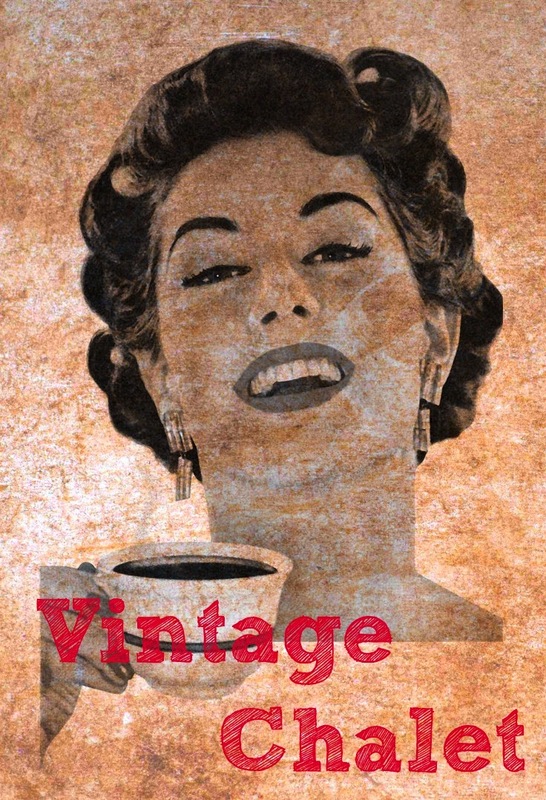 Would look cute in a coffee talk type environment. Talking about coffee, did we mention Sapa Coffee integrates hemp in their coffee, making it loaded with Omega 3 and 6? Yep, it’s true. Enjoy a tall one ! 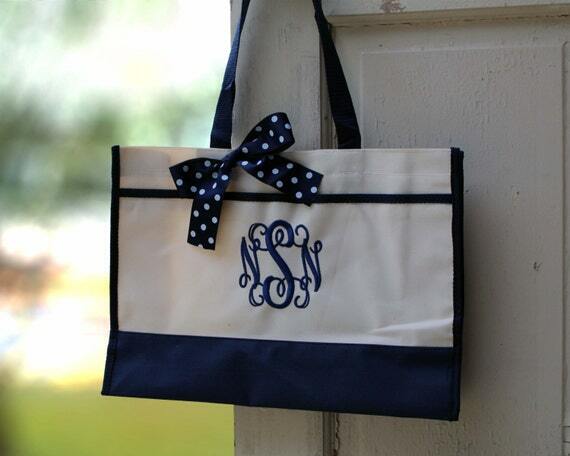 This tote starts at only $10…choose the style, color and bow! Good Embroidery takes time, patience, and investment. Jackie Evans from Jackie’s Personalized Gifts by J knows all about this, she’s been plugging away at her Etsy shop for some time now. 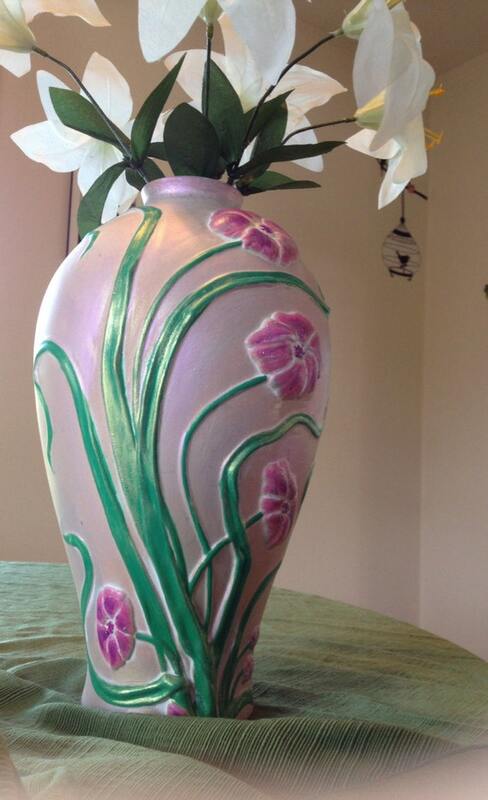 Originally on Etsy since 2009, she has sold over 31,000 items. I would consider her one of Etsy’s POWER SELLERS! Jackie spends her time embroidering handbags, totes and novelty items and takes precision and attention to detail. The tote above is embellished with a ribbon and embroidered. She gives color options of thread, totes and ribbons. The possibilities are endless. Furthermore, she offers quantity discounts making these items very popular with weddings, bridesmaids, and people who like to match. 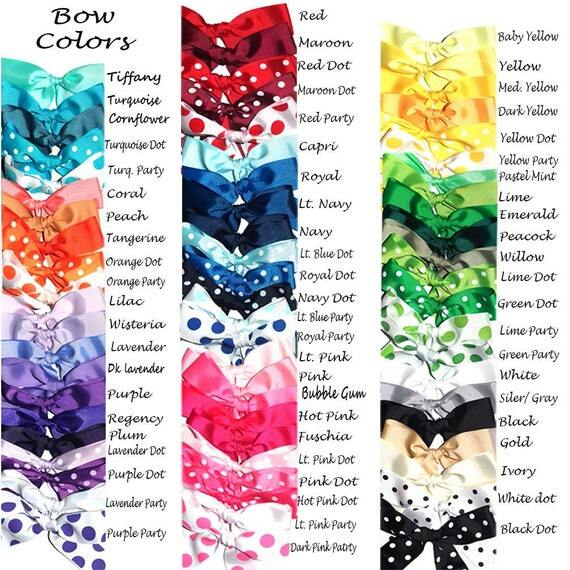 Choosing a bow may be harder than you think, we love the polka dots! Jackie is working out of Florence, Mississippi, but how did she get so popular on Etsy ? Well I can tell you as I’ve watched her shop for awhile! First, she started small and grew her customer base with fair pricing ! Two, she offers options for everyone, so you are able to customize your purchase! Three, she paid attention to detail and gives great customer service. So, by being so awesome the customers just adore her, they keep coming back for more. Congrats to Personalized Gifts by J.
Etsy is a place for handmade, so what better than a customized reading for you? 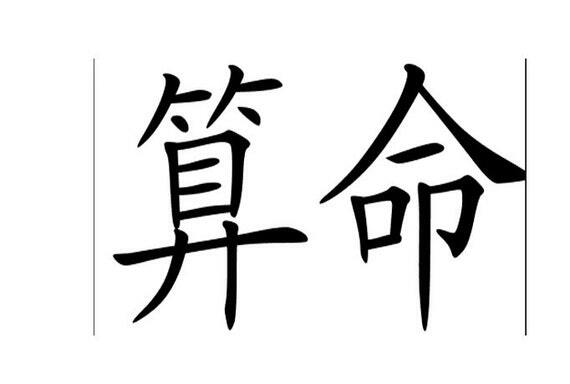 Grace Faith, who is an Asian Top Psychic now offers services on Etsy. Eight questions answered for $45. Her profile indicates that her father taught her how to read people’s feelings. Psychic Grace Faith says that she reads energy and has successfully given advice to some of Asia’s celebrities to prevent scandals before they happen. This would be great for fun or for your future! Sunshine Printables on Etsy, a world of easy invites, announcements and cool stuff waiting for you. 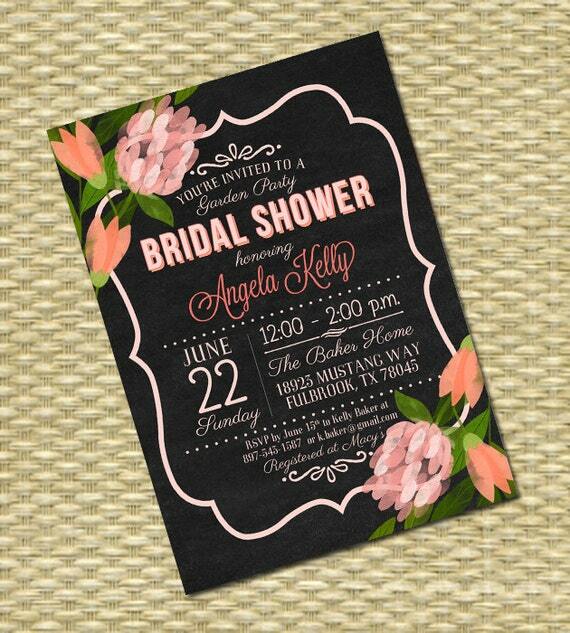 Bridal shower announcements and DIY wedding invites were never easier thanks to Etsy shop Sunshine Printables. The shop is run by Sasha who has designed these spiffy invites, just waiting for you to buy, customize and download/print. It’s very easy and most range around $15, unless you need additional color customization, which may run you a few dollars extra. Not into the DIY If you don’t know what paper to get or how to do it yourself, no worries, you an buy an optional print package and let her to do the work for you. Her designs are chic and sassy, and we like them. We found her featured on Design-Swag. Ceramics, really? 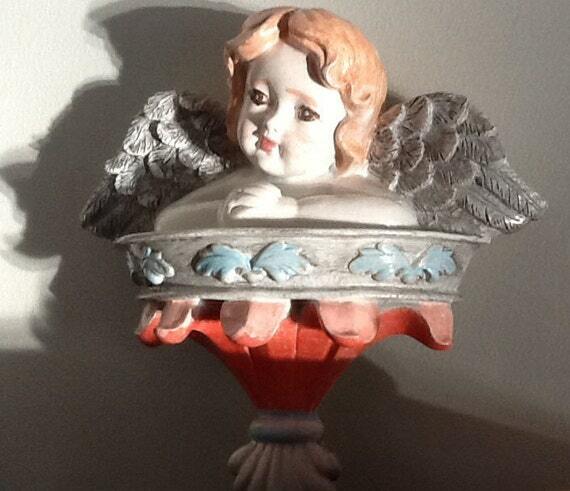 Not the kind your grandma made, but chic and hip adornments for your home. Here are our top picks from Etsy Seller EmyLiaStone , whose ceramics are made with love in her spare time when she’s not raising three kids or working for a non profit. Painting in her rural setting in Salem, Massachusetts, this crafter has a lot of items in her shop. 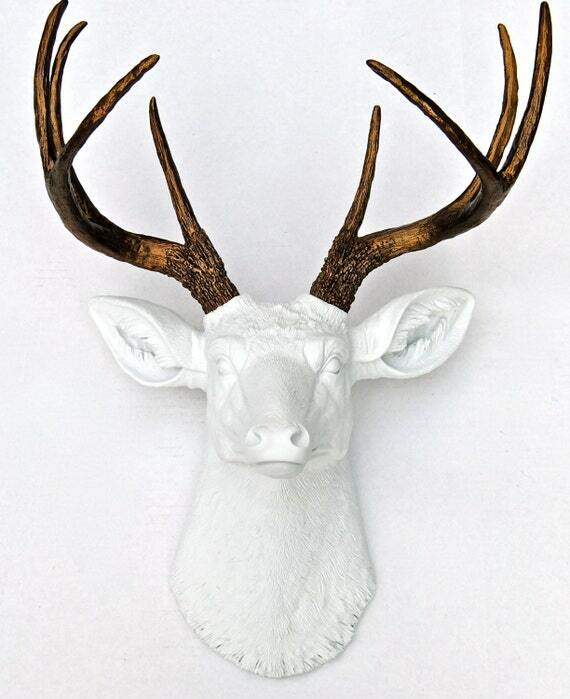 We just love the handmade creations coming from Near and Deer, including fake deer taxidermy. You can enjoy the wonderful look of deer in your home without actually hunting or hurting any wildlife. Great for the country chick or cabin decor, and you can pretty much order any color you need. 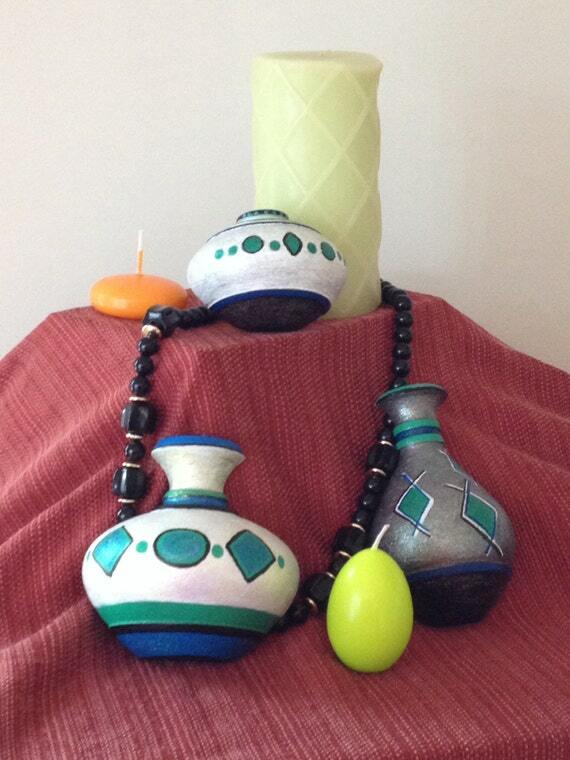 Made of a high quality resin these handcrafted handmade items come ready to hang. You provide sturdy screws or nails and have something pretty to look at! Lilac / Lavender option also available for $89.99 on Etsy! 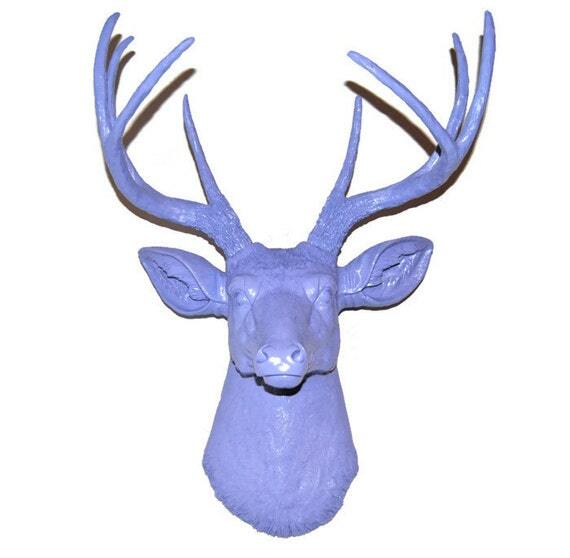 These deer are our favorite, and you can get them in special colors to match your decor starting at $89.99. They also have other options such as fabric covered specialties in their shop. Lead time is currently under a week, but check the shop for changes. The shop is ran by Lindsay and Rick from Stewartstown, PA.
See source article from Etsy Rainbows.